Wealth embodies the application of know-how, acquired day after day and motivated by passion. Some can quantify it with a financial value. Yet first and foremost, it remains the result of your work, built with patience and persistence, An Art of Work. 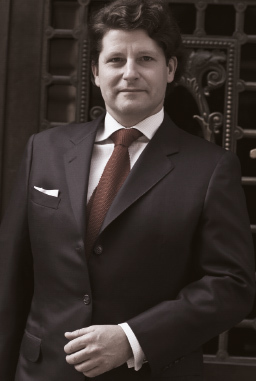 After earning degrees in Economics and Finance from the University of Fribourg - Switzerland and New Mexico State University, USA, Ferdinand began his career with Credit Suisse Private Banking in Geneva. Moving to the Chief Investment Office of Julius Baer Asset Management in 2001, he served as a strategist for two years. He was promoted to Portfolio Manager for Special and Value Style-Mandates (2003 - 2005) at Bank Julius Baer. Based on his expertise, Ferdinand was again promoted, this time to Deputy Head of Value Style Products and Co-Manager of the Global Contrarian Stock Fund (2005 to 2007). In 2007, Ferdinand was recruited to assume responsibility for the Central Eastern European (CEE) Markets in their Private Banking arm of Banque Pictet & Cie. In 2009, Ferdinand established BK & Associates, a firm dedicated to close personalized attention to all its clients’ needs. He is a proud father and family man who devotes significant time to volunteer community work with the elderly and handicapped. In his free time, Ferdinand is an avid water polo player as well as being a scholar of contemporary art and world history. Since 2003 he has been a Chartered Financial Analyst (CFA) Charterholder.